Sincere Christians who have studied the scriptures understand the importance of prayer and fasting. Our awareness of God can dim over time as we stuff ourselves with the cares of life. Fasting calls us to refuse our fleshly appetites and eat only on the pleasures of the Word of God. There is a spiritual excitement and joy in God that far exceeds the pleasure of this world. Once we “taste and see that the Lord is good” (Psalm 34:8), we are no longer slaves to our fleshly desires. When we commune with the One our soul longs for during prayer and fasting our faith in God increases as well as our desire for Him. During fasting our minds quite down so that we can hear the still small voice of God above the chatter of worldly desires. Fasting creates an atmosphere of Faith in God for self-revival. Our desire for others to know of God’s goodness rises to the forefront of our minds. What are the strongholds affecting your life? What steals your time from prayer, fasting, reading the Word, fellowship with God and outreach? By allowing a stronghold to become a part of your life, you have made an agreement with the enemy to set up his fortress under your roof. Sometimes prayer alone is not sufficient to remove a stronghold. You certainly can’t fast a stronghold for a few days, return right back to it and expect to have power with God. They are so deeply rooted that you need prayer and fasting to pluck them up and cast them off. Fasting and Prayer prepares us to have joy through suffering. We understand that when we walk through terrible things, we don’t lose joy in Christ, for in His presence is fullness of joy. It is only when we have completely died to self that the power of Christ is fully manifested. Through fasting and prayer we can we find the same deep confidence and contentment in Christ that carried Him to the cross. Through His strength we can face any trial or hardship. Our church, Christian Life Center of Myrtle Beach, will begin the Daniel Fast February 3rd and end on Saturday of “Bind The Strong Man.” We ask that all join us at some point during the month in fasting and prayer for this service. Fred and I are so excited for all who are able to attend “Bind The Strong Man.” Anyone who has ever heard Bro. Hurt speak knows how rich and life-changing this service is going to be. 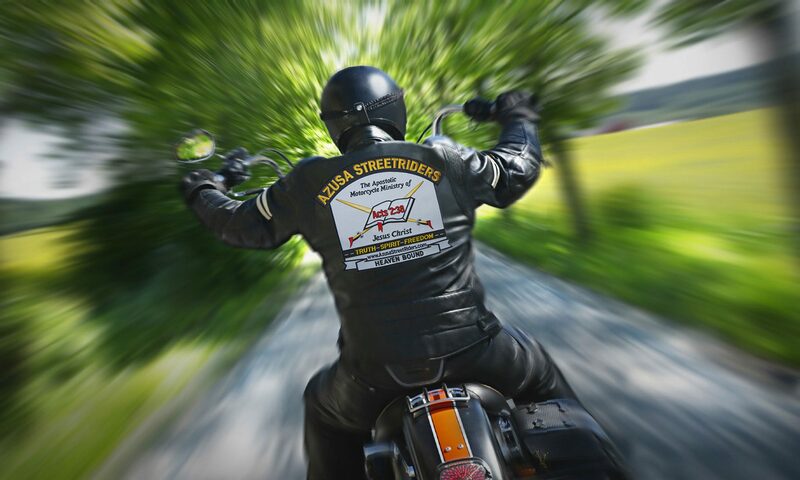 Diane Beall is the founding First Lady of the Azusa StreetRiders Motorcycle Ministry. She resides with her husband, Fred Beall, the founder and first president of ASR, in Myrtle Beach, SC. Diane is the ASR National Ladies Chaplain.